I haven’t felt right for the past several days. I can’t say what it was, so I’ll just say that I have been pooky. 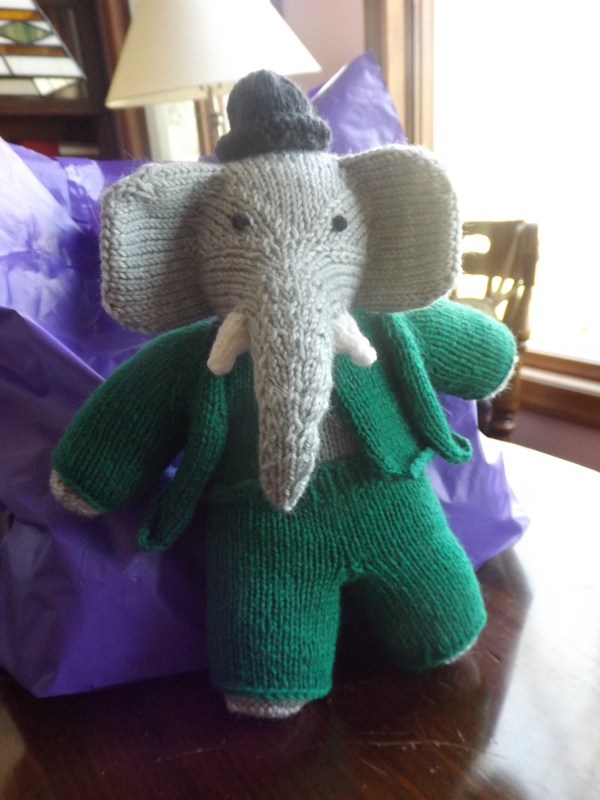 Since I haven’t been running around, I have made good progress on Babar. He needs to have his clothes blocked and find buttons for his vest. Don’t you just love his bowler hat. This entry was posted on March 11, 2018 at 12:10 am and is filed under Knitting. You can follow any responses to this entry through the RSS 2.0 feed. Both comments and pings are currently closed. Sorry you aren’t well, but you have put your time to good use! Babar is adorable!